Work-Life Balance – Fact or Myth? The author and philosopher Alain de Botton once said “There is no such thing as work-life balance. Everything worth fighting for unbalances your life”. Those of us facing tough deadlines, crushing commutes and toxic office politics may beg to differ. Work-life balance means different things to different people — what matters to some is less important to others. However, employers are certainly waking up to some home truths. In fact, researchers say business survival depends on finding better ways to protect people from the demands of their jobs. Management expert and author Charles Handy has studied this for some time. He said, “We are in danger of populating companies with the modern equivalent of monks, who forgo all else for the sake of their calling”. Employers seem to have taken this to heart. They are realising that overwork, stress and other problems related to jobs are highly counterproductive to results. Despite the recognition of the term ‘work-life balance’, few have found a good enough definition of the phrase. It is easier to describe what it is not than describing what it actually is. Work-life balance does not mean a simple mathematical division of work and leisure hours. This is unrewarding and unworkable. Life simply does not work like that. Your personal work-life balance will vary as you mature, as your circumstances change. What works for a graduate just entering the workplace will be different from someone about to retire. 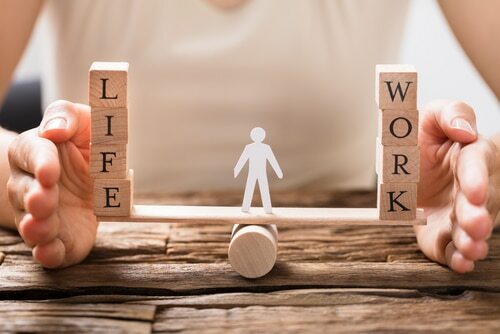 Whatever your priorities, the key to achieving an effective work-life balance are two key concepts relevant to each of us. They are daily Achievement and Enjoyment goals, simple ideas but they need breaking down. Achievement and Enjoyment take care of the idea of why we work. Why do you want that higher wage, the car, the vacations the children’s education, why the need to work at all? But these goals are wrapped in the idea of Achievement. The concept of Enjoyment is a little harder to define. As part of a Work-Life Balance definition, enjoyment does not literally translate into rainbows and unicorns happiness. It means pride, satisfaction, happiness, celebration, love, and a sense of well-being. You need both Achievement and Enjoyment to have a shot at genuine fulfilment. There are successful people who are miserable and people who enjoy themselves but can’t put food on the table. So, both are an essential part of living today. Set yourself goals to reach both achievement and enjoyment in your day. As soon as you feel you have accomplished one, then move on to the other. Have you written that report? Then take ten minutes to read a novel or listen to a piece of music. 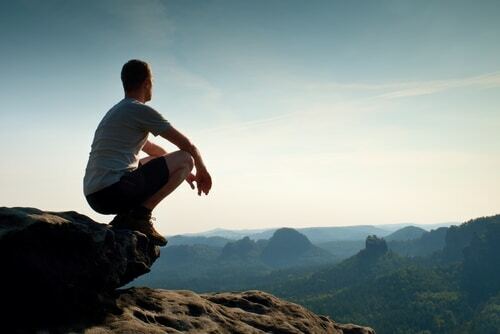 Work these accomplishments into all aspects of your day – work, family, friends and you. 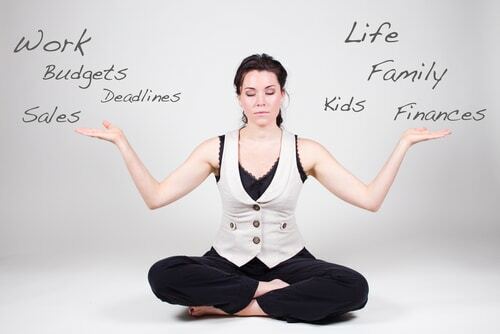 Practice doing this, and you will achieve a perfect work-life balance that works for you. A report by SEEK in 2016 into work-life balance revealed that, unsurprisingly, it means different things to different people. Surveying a range of workers across Australia found that the understanding fell into four general areas. 34% see it as flexibility and hours and location; 27% wish that work did not disrupt home-life; 23% wanted the ability to time-bank, and 15% wanted a job with no overtime. The best work-life balance in Australia is to be found outside of the major population centres. A majority of professionals in the ACT (68%), Tasmania (62%) and regional areas were the happiest with their mix of working and personal lives, according to the SEEK report. Melbourne professionals (63%) were more satisfied with their work-life balance than those in regional Victoria (57%). As you would expect, professions and industry sectors matter when it comes to levels of work-life balance. More than two-thirds of HR professionals thought their work-life balance was excellent. Most in the real estate, consulting and strategy, and insurance sectors agreed. Less happy were those in call centres, manufacturing, transportation, and administration. The ability to successfully combine work, family and personal life is important for the well-being of all members of a household. Recognise what is important to you and yours and work toward achieving this. Speak to your employer; you will find they have an interest in making sure you can accomplish this as well.